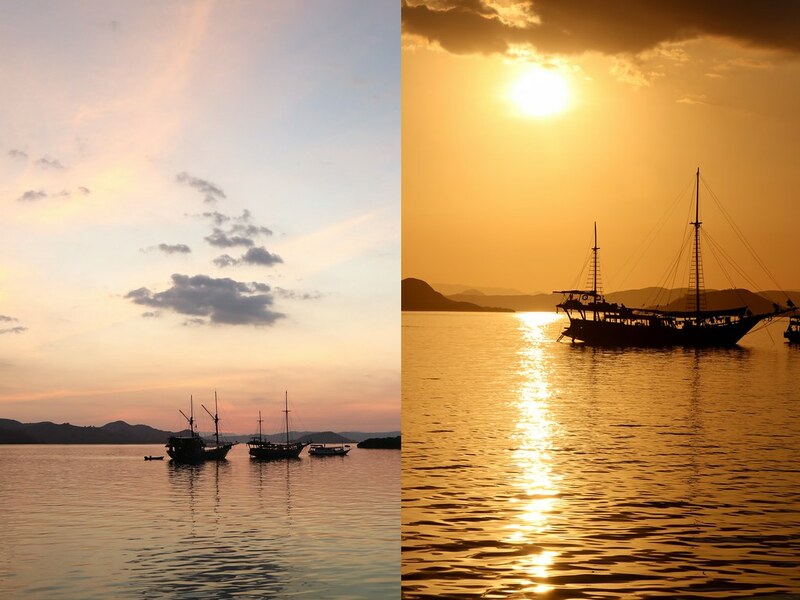 When Pete and I visited Indonesia, we spent 3 glorious days floating around Komodo national park in a little wooden boat. It was wonderful to be away from everything and appreciate the scenery and we were treated to some spectacular sights and sunsets. 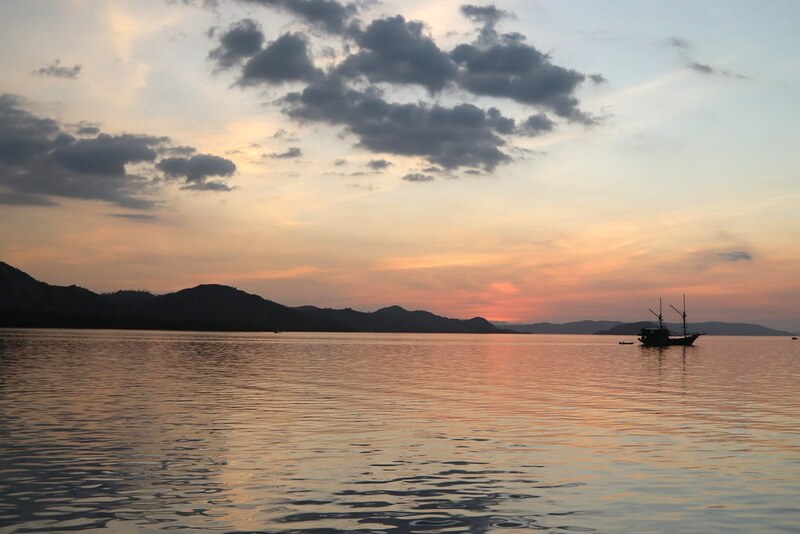 This is the story of our first evening on the boat, and you can find other posts about our Indonesian trip here: Indonesian Adventures. It was lovely to lounge around on beanbags, sitting up on the shady deck, journaling, having tea, slathering moisturiser onto sunburn and watching little volcanic islands slide by. 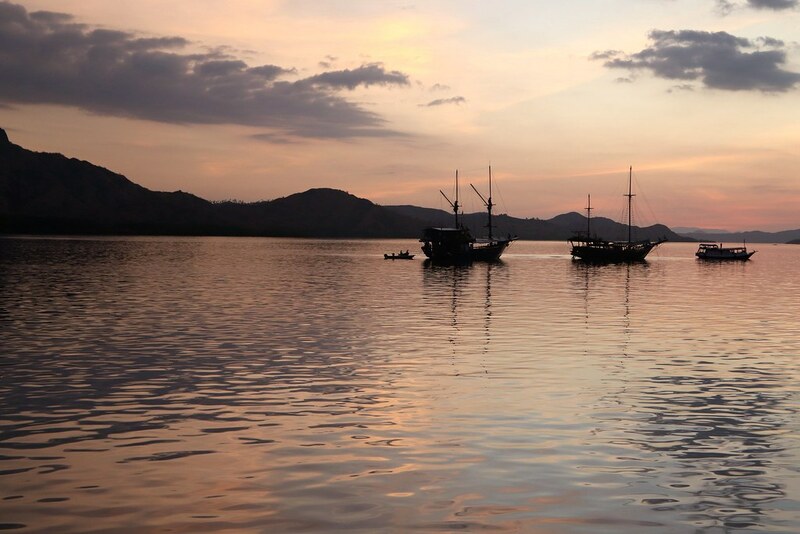 The engine hummed rhythmically and before long we were at Kalong island. We moored off the coast with a lovely view of the sunset, and we were joined by other boats and little ships to admire the pastel hues painted across the sky. 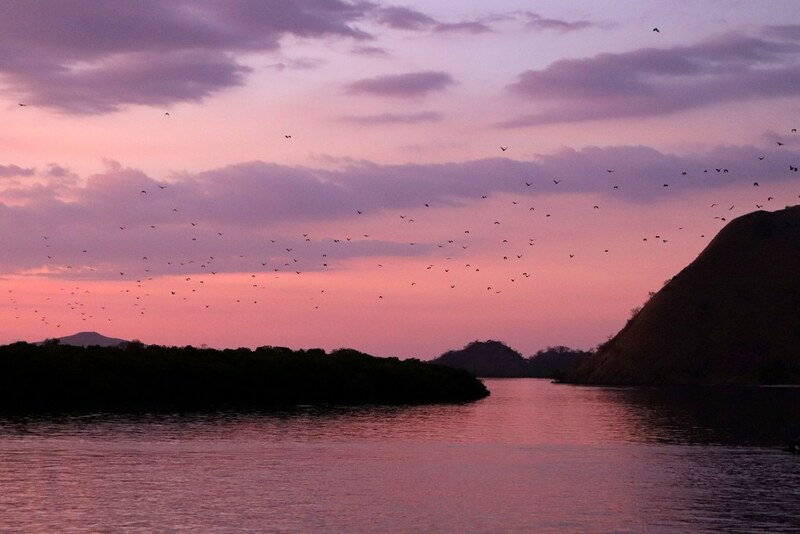 The sun slid below the horizon and we turned our attention to the mangrove forests which lined the shore. Within, we were told, live innumerable bats and at 6:20pm they would all get up and fly over to the mainland to hunt for the night. They were bang on cue: first one or two and the more and more; it was an incredible spectacle. 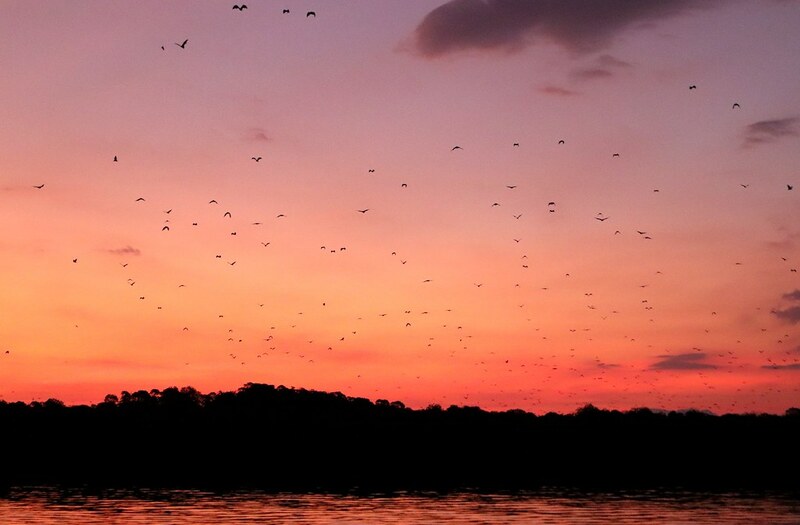 I had thought we might see a few specks in the distance, taking off and flying away, but there were thousands of them, bat shapes outlined against the rosy pink sky, soaring over head. I’ve never seen anything like it and they just kept on coming, winging silently overhead on their way. It suddenly struck me that it was Halloween. What could be more appropriate that bat watching? 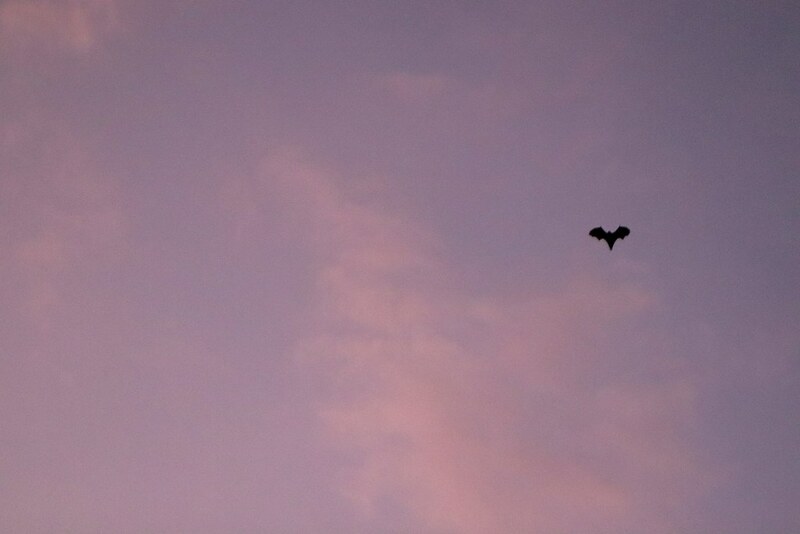 In the end, we had to leave before the bats had finished taking off. Our merry crew skippered the boat on to our mooring for the night - no idea where as it was dark so we could only see the odd bobbing light - and we had a quick shower before sitting up on deck to read. Dinner proved to be yet another insane feast with veg, rice, aubergine fritters, two different tofu dishes, chicken, and whole fish, one each. I struggled pathetically with the bones which were a bit tiny and fiddly, but the food was tasty and we rounded it off with melon and pineapple skewers. All that remained was to try and stay awake for a little bit longer, as that 4:00am start was beginning to take its toll. Just enough time to read another book chapter. We were in bed by nine!